This might sound strange, but I love doing tax returns. Since 1971, I’ve written more than twenty thousand returns! Many of my clients start out with a special need, but keep coming back because of the personal relationship that we’ve built. People who are good at what they do love what they do, and I love tax returns. And because I have so much experience, it’s hard to stump me with anything new in the tax field. Plus, I have the right software for all fifty states. I do tax returns for merchant bankers and hedge fund managers, for guys who mow lawns or paint houses, and for all sorts of people in between. Many of my clients are smaller businesses that use a local bookkeeper who is just not a tax expert. I help many types of businesses like partnerships, LLC’s, corporations or proprietorships. I am sensitive to an individual’s needs and fears regarding their taxes. I treat everyone with respect, and even some humor, and try to make tax preparation a pleasant experience. If you have a special need, such as multiple years’ returns filed at once, or a once in a lifetime event, such as withdrawal from a pension plan, you want someone really good to counsel with you. Many of my clients started out with a special need, but keep coming back because of the personal relationship that we’ve built. 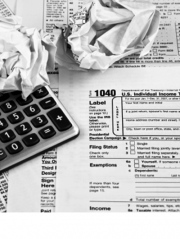 When preparing a tax return, I do not have attorney-client privilege, so I would have to disclose any data I use in preparation if the IRS should challenge the return. Clients use my services for tax preparation because they know that I will be thorough, curious, and thoughtful. I will not back away from a legitimate deduction because it might be an “audit trigger” — I don’t really believe that audit triggers exist. If you have a slightly unusual situation, or you are self-employed, or if you’re just tired of dealing with less-than-ideal tax help, you should see what I can do for you. You may be pleasantly surprised with the result when an expert preparer (who loves what she does) helps you with your tax issues.